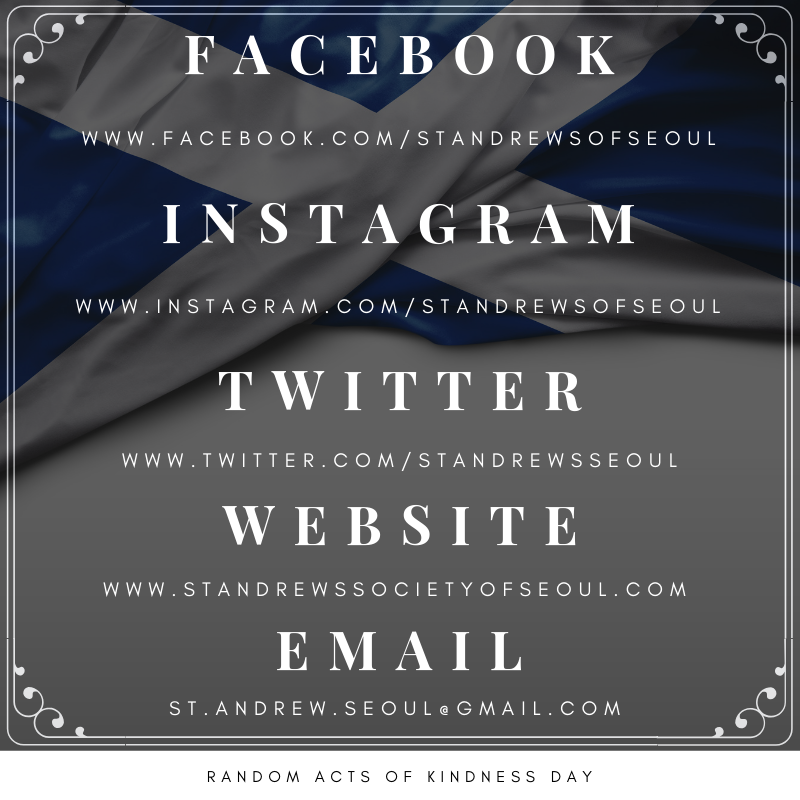 The St Andrew’s Society of Seoul - 2019 updates! The dates 25 January and 30 November are special and celebrated by the people of Scotland and the Scottish Diaspora world-wide. 25 January is the birth date of Scotland’s National poet Robert Burns (commonly called Rabbie) who through his poetry and songs chronicled life in Scotland in the mid 1700’s. He is loved by all Scots for his humour and love of life. St Andrew was the brother of Simon Peter and one of the first disciples of Jesus Christ. He became the Patron Saint of Scotland around the middle of the 10th century. 30 November is Scotland’s national day. 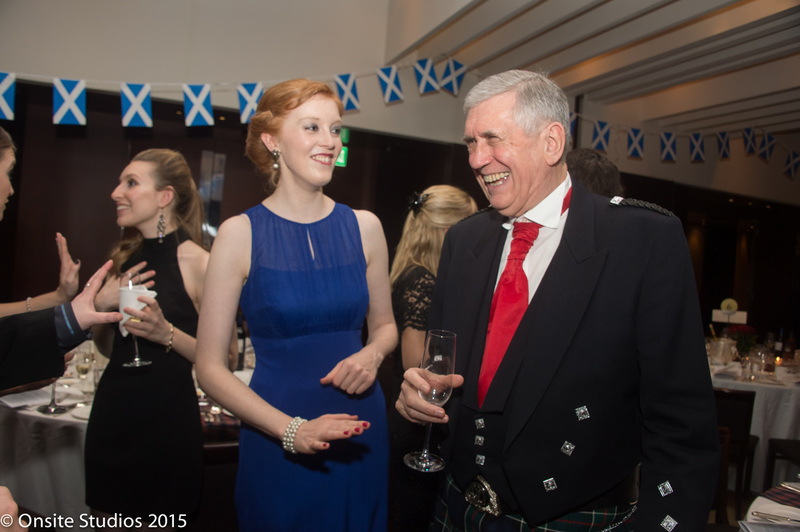 The Muckleshunter - a traditional Ceilidh (pronounced Kay-Lee), a Scottish Party. 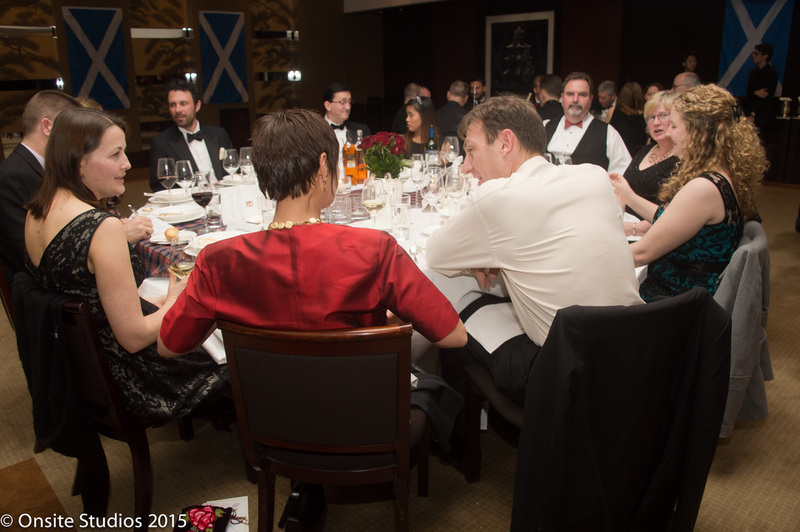 Our first event, the Burns Supper will held at The Grand Hyatt on 26 January, 2019. It’s a little different from the Ball. 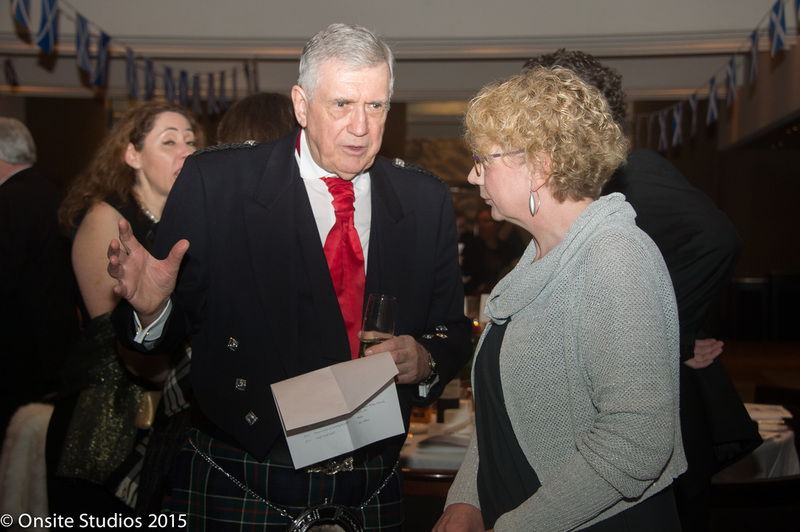 Plenty of poetry and humorous speeches, and banter. Lots of whisky, but no dancing! The Muckleshunter will be held on (TBA-May 2019) at the Broughton Club and will feature good food and plenty of dancing. The Muckleshunter is very informal and a time to let your hair down. The Society also holds dance practices on the four Wednesday evenings preceding the event. Names must be given in advance to gain entry to the Embassy. Please see the information in our upcoming events page. The St Andrew’s Ball will held on (TBA-December 2019) at The Grand Hyatt in Seoul. 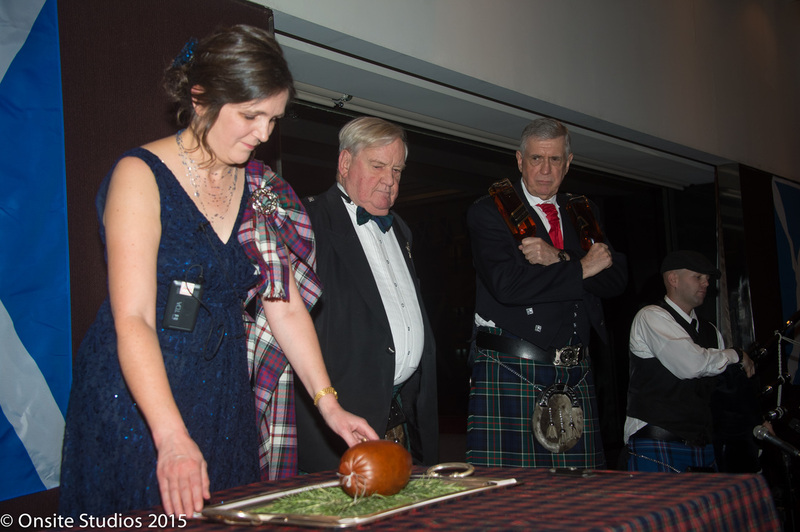 Many will wear tartan, with men in traditional kilts and ladies in their finest dress. As well as good Scottish fare, there will be plenty of whisky and Scottish dancing. Unique to Seoul is a breakfast around 0330 am. This tradition harks back to the days when Seoul had a curfew and the St Andrew’s Ball was truly an all night affair.